Training to climb Kilimanjaro is as much about your physical endurance as it is about your mental stamina. The former is important as you will be trekking between 5-10 miles a day for the duration of your climb (which can be up to 9 days if you have booked onto a long route). The ability to draw on physical reserves as your energy depletes is key. However, if you read about or speak to high altitude climbers they will all say that your mental stamina is just as important as your physical endurance. This is definitely true of Kilimanjaro, particularly on summit night! Here are 4 things you can do to be perfectly prepared for the summit. If you are relatively unfit I recommend setting yourself a 3-6 month training regime where you focus on long distance walking / running (5-10 km at least three times a week). You can do this on a gym treadmill but remember to set a consistent pace and vary the slope (a slight incline is best). You get to wear in your boots. There is nothing worse than arriving in Kilimanjaro with unworn-in boots. This can seriously stymie your summit attempt as you will get blisters and sore feet early on in your hike. So often the thing that gets climbers to the top of Kilimanjaro is there mental stamina. There will be times during the summit night that you will want to give up and go back down. Being able to dig deep and pull on your mental reserves is so important. Most people who run marathons will tell you the last mile was all mental. If you can get in that state of mind at least once before Kilimanjaro then you will be perfectly prepared for the final push up the slopes of Kibo. We truly believe most people – regardless of age or physical condition – can climb Kilimanjaro (within reason, of course!). All one needs to do is ensure their cardiovascular system is firing on all engines and that they have the mental strength to see the hike to the end. Over and above the importance of training to climb Kilimanjaro is the having the knowledge of how the body acclimatizes to altitude. This page provides detailed information on the latter. Feel free to ask us any questions about training to climb Kilimanjaro in the comments below. 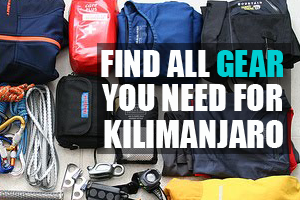 Click the link for a complete Kilimanjaro equipment packing list. I am thinking of climbing kili in september and have not started training. I am 47 and not fit My main source of exercise in walking at the moment. can easily walk 20 km per week. My concern in I have sore knees from years of wear and tear from weight gain and early years of sport. Do you think I could start training now two month out from the climb? I am also carrying a bit of extra weight!! I’m 21 and climbing Kili in September. I think I’m relatively fit and have been doing walks primarily to make sure my boots are worn in, The main thing I am worried about is altitude sickness. I wasn’t sure if it was worth getting an altitude training mask or taking any of the medication recommended in preventing and treating altitude sickness. The resistance training mask does not help in any way beyond strength development for your diaphragm. The negative pressure generated by this strain also draws low pressure in the areas your lungs do not need it! If you want to really train for altitude, go to your local scuba shop, get certified with nitrox (a higher nitrogen percentage), and go swim around in a pool, take deep breaths and swim around to get the blood flowing. The research coming back on those masks is showing complete flop for altitude training. I will be going in July next year (2016) and am extremely excited but also very anxious. I get bored quite easily and this will be my first big hiking experience. I have been more or less regular with my fitness but may have to UP the cardio – since I have a lot of time to prepare, I think I will do okay – hopefully. I’m also planning on doing the Machume climb in July 2016, however, I only manage to push 1.5km in 15minutes over the treadmill. Which route you planning on doing Naimeesha? Hi, I am planning to hike Kili in February 2017. I am fit and do a lot of exercise. I was thinking of volunteer working in Tanzania for three weeks before my climb. Do you think this will be beneficial? My only concern is, I won’t get much exercise in those three weeks, but I will try. Thanks. Hi, I am 58 and want to climb Kili in February 2017, I used to run 6 to 12km 3 to 4 times a week but haven’t done much since I moved to Entebbe, Uganda in Sept 2014. I still do some exercises indoors but no special training plan, I have some issues with my knees but I stretch a lot which keeps them going. Given the fact that running outside is limited so are gyms would walking for about 2 hours on the weekends be sufficient training to prepare me for the climb. Thanks. Hi Lyne, Walking is in fact the best type of exercise training you can do for Kilimanjaro. The longer the walk the better as you want to really get used to being in your boots for multiple hours a day, preferably for a few days back to back. If you can get in a few weekend practice hikes that is a great way to harden off the joints and muscles and get Kili fit. Hope this helps! Hi , we are planning to climb Mt. Kili in Oct’16. Wanted some tips. How will the weather be in October. Will it be raining through out? If we walk upto 2 hours 11k, swim for 1 mm 3 times a week, cycle for 2 days a week-7-8km , can I see myself building endurance of need to work harder? Also, can we control do It without using Diamox? If yes , how do we control and monitor breathing at altitude , to avoid sickness. Thanks . Hi Dee, it is difficult to describe similar activities that require strong mental stamina. 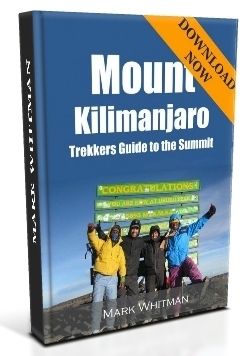 I guess if you can imagine be very exhausted and perhaps on the edge of giving up, then you can get a sense of what the final push to the summit of Kilimanjaro is for many people. 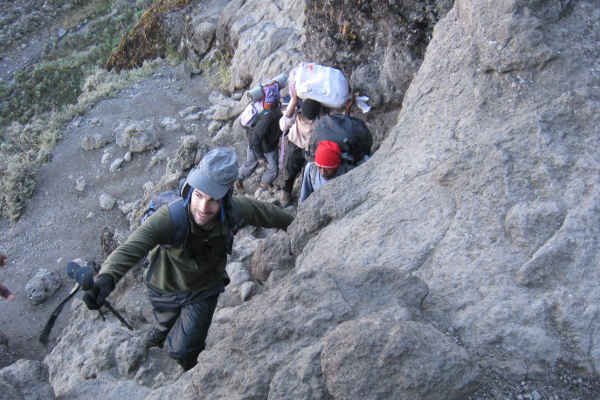 The ability to push that extra bit is in general required on a Kilimanjaro trek. Not for everyone, but for many people. Of course this needs to be balanced with the risk of severe altitude sickness. If you are not acclimatizing well then you will have to descend. My analogy with running a marathon works for many people as Kilimanjaro is definitely more of a marathon than a sprint. Initially you will take the trek day by day, and as you approach the summit it will be step by step. The combination of hiking for 7 or 8 days and the high altitude, mean that the final push can be mentally challenging, as much as it is physically challenging. Unfortunately there is nothing in the Peak District, or indeed the UK, that can give you a sense of the experience that comes with trekking at high altitude. Fuji would come close, but is still not high enough to provide an analogous experience to Kilimanjaro. My advice would be to try achieve peak fitness for your age, follow the golden acclimatisation rules, stay well hydrated and eat well on the trek and finally enjoy yourself. The trek is wonderful – enjoy each day. Don’t think too much about the summit until you are actual setting off on summit night. Assuming you have acclimatized well and have the grit and determination to make it to the top, then I’m confident that you will get there. As for working out on a treadmill, I prefer fast sprints to slow walking. The aim of fast sprints is to work your cardiovascular system as much as possible. I find walking on a treadmill (even at an incline), doesn’t get your heart going fast enough to really improve your cardiovascular performance. Hope this helps! I am a very unfit 47-year old that has brittle asthma and fibromyalgia and weigh a 100kg. Not that I’m going to let this put me off. I plan to climb next August 2018 apart from losing weight, what strategies can I put in place for my experience to be a positive one? I need to start to plan and fitness regime in order for me to achieve my goal, I would very much like your advice and tips no matter how candid they may be. Hi Kiki, the best advice I can give you is to get your boots on and hit the hills. You need to clock up as many hiking miles as possible. This will make you hiking fit. In addition it is worth starting a aerobic fitness regime from today. Hope this helps! Hi Ian, yes, this shows you have the right fitness level. However, the impact of the altitude is difficult to determine until you have actually been up high i.e. over 3,500m. Also, Kilimanjaro is a multi-day hike, on average 7 days. So although the local hikes in the UK are great practice, they are generally not multi-day experiences. Having down all the hikes you mentioned I would say that you are in good shape for Kilimanjaro. Just make sure you take a longer route on the mountain to give yourself enough time to acclimatise. The 7 day Machame or 8 day Lemosho are great! Hi. My husband and I are both in our late fifties and recently completed Everest Base Camp and Machu Picchu treks. 2019 we want to take our son back to Kili to support him with his second summit attempt as he developed Cerebral Oedema at Gilmans Point the first time and had to turn back. We are thinking to take the nine day Lemosho route mid-July. 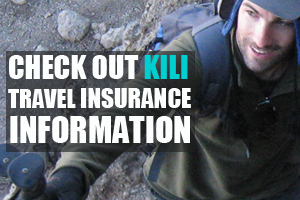 From what fellow trekkers are saying Kili is harder than EBC because the ascent is much quicker. We are fortunate to have great training opportunities not far from us in the Chilterns and we do this every Sunday. My main concern is summit night. Any pointers? Hi Roshni, yeah, having trek extensively in Nepal and on Kilimanjaro, I would say Kili is harder due to the relatively rapid ascent profile. The 8 or 9 day Lemosho is a good route for acclimatisation so you are on the right track there. Apart from that I recommend reading this article, and following the best practice tips: https://www.climbkilimanjaroguide.com/acclimatization-kilimanjaro/. All the best! I’m a strong runner but not a great swimmer and often find swimming makes me quite breathless – I assume something to do with the hydrostatic pressure – is there something in this that I can utilise in my training to mimic coping with exertion at altitude? Any specific swim drills or things I could be doing? Hi Christy, I’m not aware of any benefit swimming can have for altitude training. The best training is to train at altitude if possible. We booked our Lemosho route trek in 8 days. We are a healthy and fit family of 4 (55,50,18,16) would you suggest to visit an MD before we go? I think we are fit enough to climb, but especially concerned about altitude sickness. We are planning a Kilimanjaro hike for this Oct. Just completed a hiking vacation in Colorado. We do 2 to 3 hour hikes at home in Minnesota- state parks usually. In Colorado we hiked the Flatop Mountain trail in Rocky Mountain National Park. Hi Pat, your training regime sounds perfect. The best type of training you can do is multi-day hiking, ideally at some elevation. In addition to this I would recommend a light gym routine to strengthen your legs and cardiovascular system. All the best! I’m an asthmatic all my life and I want to climb experience this climb but after reading the issues that ca occur with breathing I’m afraid. Is this something I could train for? I m doing the machame 6 day route in 4 weeks from now, I have been working out with a trainer for the pass 9 weeks, 3-4 times a week mostly doing strength training, and also been hiking on table mountain every weekend between 10 and 20 km. Should this be sufficient? I also did 4 day consecutive hike covering 45km, and will do another 4 day hike the last week of dec. Should I be doing more cardio? I have only done short 5km runs once a week at most. Hi Mimi, you training regime sounds perfect, you should be in great shape for Kili. Best of luck!